Do your employees welcome the opportunity to expand their skills and knowledge? Or do they search for any excuse to skip their online training sessions? 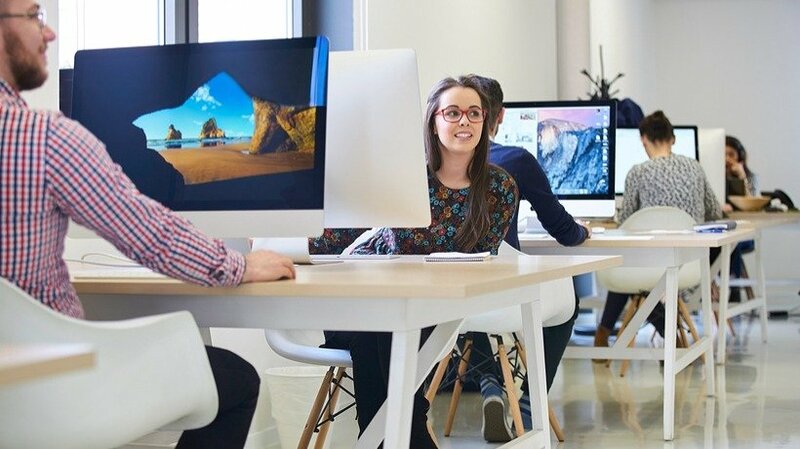 In this article, I'll share 8 tips to create a successful corporate eLearning culture that reinvigorates your employees. A corporate eLearning culture sets the tone for the entire online training program. A successful culture promotes lifelong learning and stresses the importance of personal development. As such, it's essential to cultivate a thriving corporate eLearning culture that gives employees the support and resources they require. Here are 8 top tips to help you create an effective corporate eLearning culture and community. Webinars allow you to interact with employees on a personal level. They can ask questions and share opinions. Your organization has the ability to provide training updates and keep employees in-the-know. As such, you should host webinars on a regular basis, preferably once a month or even weekly. Give employees a list of topics for each session and send invites in advance so that they have time to prepare. You might also consider smaller group events to boost participation. For example, break your staff into teams and encourage them to use social media groups and online forums. This gives them the power to collaborate and exchange feedback before, during, and after the event. A successful corporate eLearning culture is all about transparency and awareness. Employees should know what the company represents and what online training resources are available. In other words, every member of your staff must be on the same page. Clearly state employee expectations, company objectives, and the overall mission statement. Most importantly, ensure that every aspect of your online training program reflects your brand image. This fosters a sense of organizational pride and familiarity, which is an essential part of a corporate eLearning culture. Employees are a treasure trove of ideas, opinions, and insights. But they must feel comfortable sharing their thoughts with your organization. Otherwise, you're missing out on a golden opportunity. Ask for employee feedback and let them know that you value and respect their input. Conduct surveys and focus groups. Encourage them to submit feedback via the online contact form, message boards or your corporate eLearning blog. After you gather the data, analyze it with your L&D team and look for patterns. Then use your newfound knowledge to improve the online training experience. Training should be available round-the-clock, even when employees are out of the office. Microlearning gives you the power to provide online training anywhere, anytime. For example, staff members can refresh their skills, learn about new products, and improve task proficiency 24/7. Another key benefit of microlearning online training is that it's not mandatory. Employees know that these resources are there to fill the gaps, but they aren't obligated to access the online training. As such, they are more likely to actively participate and make the most of the online training materials. They also appreciate the fact that your company is willing to go the extra mile to provide bite-size learning opportunities. The purpose of corporate eLearning is to achieve the desired outcome and meet online training objectives. But it's not all business. In fact, online training is more effective when emotions are involved. As such, you need to connect with your employees on a personal level. They must relate with the subject matter and know how to use it in the real world. Examples, stories, branching scenarios and personal anecdotes stress the applications of their online training and make the experience more meaningful. Above all else, they humanize your corporate eLearning and simplify complex ideas to improve knowledge retention. Your brand identity and image are the centerpiece of your corporate eLearning culture. Every aspect of your online training program hinges on your brand message and mission statement. Employees must be able to get behind your brand. So, there's no room for ambiguity. Meet with your eLearning team to create a clear and concise statement of what your brand symbolizes. Perfect your logo, color scheme, and primary objectives. You can even create a vision board that sums up your brand identity with images and graphics. Your managers, supervisors, and department heads must set an example for the rest of your team. This includes stressing the importance of ongoing online training and offering support to those who are in need. First and foremost, leaders must be genuinely excited about your corporate eLearning program. Their enthusiasm and passion is contagious. If they are on board, then other members of your staff will follow suit. As such, leaders should receive all the online training and resources they require to facilitate employee development. For example, LMS training so that they know how to use the Learning Management System. Or monthly meetings to ensure that everyone is on the same page. The needs of your organization are constantly changing and evolving. Your corporate eLearning culture needs to change right along with it. Be on the lookout for new tools and technologies that can help your employees improve. Your company must be adaptable, flexible, and tech-forward to keep up, or beat the competition. It's also essential to get input from your employees in order to constantly improve your corporate eLearning strategy. Every corporate eLearning program is a work in progress. As there is always a way to make your online training course more interactive, immersive, and personalized. From Fortune 500 companies to small start-ups, corporate eLearning culture is crucial for online training success. These 8 tips can help you cultivate a supportive and communicative corporate eLearning culture that motivates your employees. Do your employees feel like they are part of the team? Are you providing them with valuable support and resources to improve their productivity? Read the article 7 Tips To Promote A Strong Work Ethic Through Corporate eLearning to discover tips that can help you promote productivity through your corporate eLearning program.